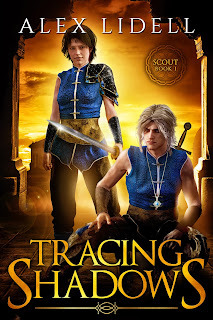 Today, in partnership with Rockstar Book Tours, I'm stoked to bring you an excerpt from Tracing Shadows, a YA fantasy by Alex Lidell which released on April 8, 2018. There's also a giveaway below where 3 winners will receive a box set of Alex Lidell's Tide Series, as well as an ebook of Tracing Shadows. Don't forget to check out all the other reviews, interviews, and excerpts from the other blogs in the tour. 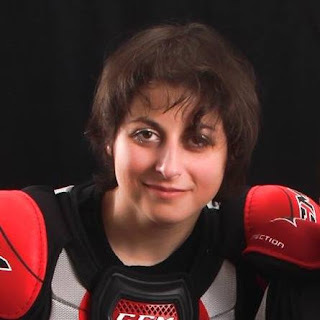 To protect the throne, seventeen-year-old spy Kali must play a male guardsman trainee by day and royal lady by night. As Kali edges closer to the truth behind the violent group’s identity, she uncovers dangerous secrets that could bring her mission to a brutal end. A scout’s job is to observe and report, never to engage . . . but if it means saving her sister and kingdom, Kali may have no choice. 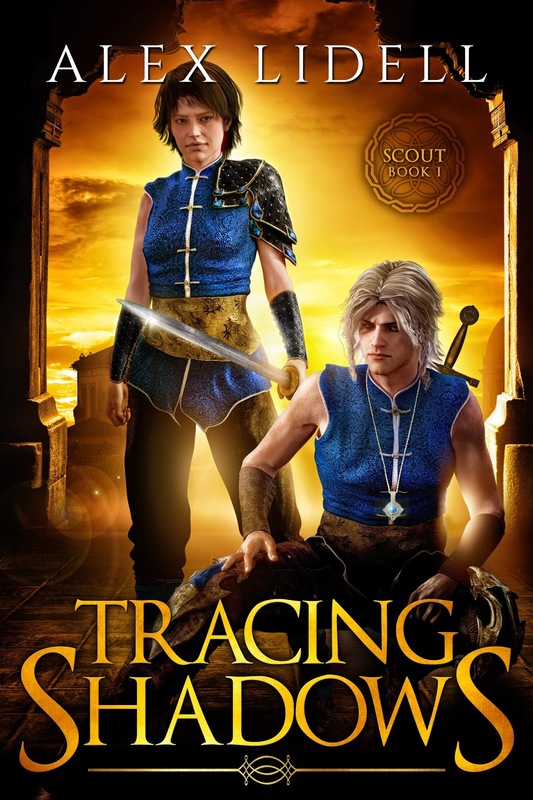 TRACING SHADOWS, by Amazon bestselling author Alex Lidell, is the first novel in the Scout series. Perfect for fans of Tamora Pierce, Leigh Bardugo, and Sarah J. Maas. My stomach tightens, but I step forward and touch my fist to my chest. “Kal Cassidy, sir.” My voice is even, respectful but undaunted. A fair accusation. And a smart one. Trace cannot discipline the prince directly, but he certainly can punish Kal. Conveniently, it would send a message of consequences to the prince while discouraging a trainee from trying similar antics again. If Trace hadn’t attempted to scare me into submission earlier, I’d even grant him a bow. “It’s not Kal’s fault!” The thread of desperation in Wil’s voice makes me swallow a groan. The prince might think he’s helping, but his obvious discomfort only serves to make Kal a more valuable whipping boy. My chest tightens. Unless? There is an “unless”? 3 winners will receive an eBook set of Alex’s TIDES SERIES & an eBook of TRACING SHADOWS, INTERNATIONAL.